I have slowly been accumulating some books for babies and small children due to use being licensed for foster care. We have quite a great collection started! 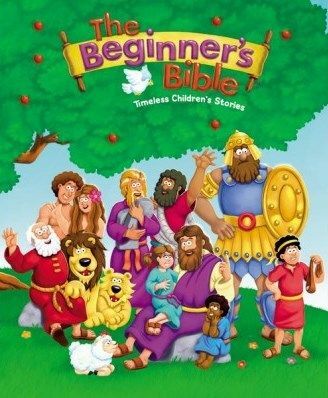 We had a few Bible based books but didn’t have a full on Bible yet!The excitement was added when I was able to add in The Beginner’s Bible by Zonderkidz. 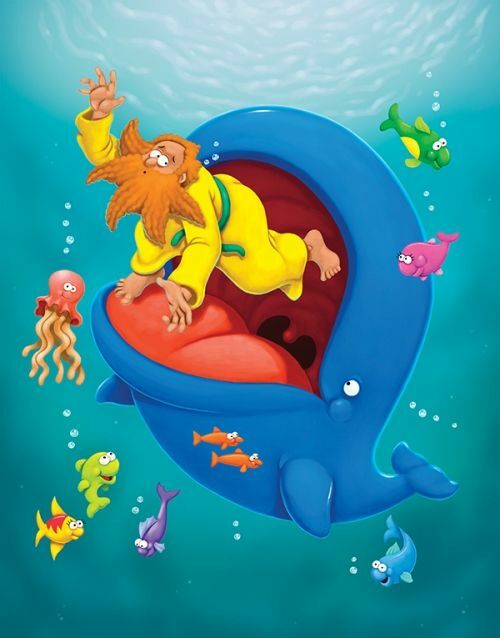 This Bible starts with Genesis and ends with Revelations just like a Bible for older kids. There are over 90 stories told in a very easy to understand way. The stories merge into each other pretty well too. I like that there are the stories that most people know, but also some other ones that you may not know as well. 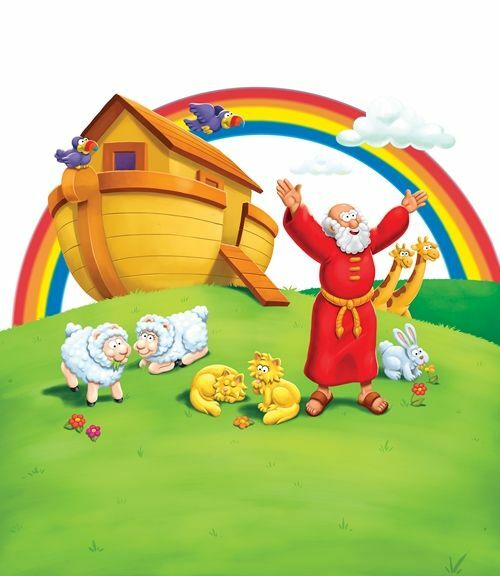 The layout helps kids understand how a Bible is written, separated into Old and New Testaments as well as at the beginning of each chapter it mentions which verses are mentioned. I think this helps in case your child gets older and starts asking more questions you can refer to your own Bible and fill in some of the spots that might not be mentioned. That’s a great idea for keeping your child’s interest to keep reading different level Bibles. Fun faces are shown throughout the whole book. From the people to the animals, everyone has a pleasant look on their face. Well, a few don’t, but that helps kids understand when there is a character that isn’t so good. Like the serpent has sort of a mischievous look, not really evil or anything, so that it doesn’t scare the little kids. The website suggests six and under will like it, but I could definitely see kids older than that liking it as well! I would say that it is a little older for toddlers, but I would think that ages 3-4 should be able to understand if even in little bits. The back of the book mentions 4-8 for the ages, and that is about what I have noticed as well, that works! Once kids can read on their own, I imagine them keeping this for years! Even if they get another Bible more their age, I can see them referring back to this one on some of the harder to understand areas. The stories told in an easy to understand way next to a harder Bible, would be a great way to reinforce the story. At the back of the Bible is a small dictionary that will help with some words that children may not know. At the front of the book is a place where you can write your child’s name in the blank. It says ‘My name is _____. Will you please read to me? Thank you.’ I thought that was cute. I hope you are able to get this for your little one! It is definitely something that I could see having for years! Sorry for the late reply, this one never made it to my email box!